The 2017-2018 season will be coach Dabrieo’s third season as Cal Poly’s head men’s lacrosse coach. In his first two season at CPSU the Mustang's overall record is 33-5, going 18-0 in WCLL play and made it to the MCLA national title game in 2016. Dabrieo coached 6 All-Americans in 2016 while earning WCLL Coach of the Year and coached 8 All-Americans in 2017. Coach Dabrieo has a long history of success in both the playing and coaching ranks. Dabrieo was a four-year starter on offense at NCAA DIII Plymouth State University from 2003-2006. He led the Panthers in scoring during his junior season and earned All-Conference honors in his senior campaign. After earning his Business Management degree from Plymouth State, Dabrieo developed a successful career as a marketing manager for a direct flower broker. While balancing his business career, Dabrieo remained heavily involved with lacrosse and served as an assistant coach for Reading High School in Reading, Massachusetts, a program that won league titles during each season that Coach Dabrieo was on the staff. In 2015, Dabrieo joined the staff at NCAA Division III Daniel Webster College as the Offensive Coordinator and guided the Eagles’ offense to a twelve goals per game average, doubling their output from the previous season. Dabrieo has also been the Head Coach for the East Coast Rockets, a powerful Massachusetts high school club team. Coach Shearin grew up in New Hampshire and attended NCAA D3 Clarkson University in upstate New York. Brendon was an offensive midfielder at Clarkson earning several All-Liberty League honors, a USILA All-American award, and was selected for the NCAA North-South Senior All-Star game. Coach Shearin studied mechanical engineering and works as a process engineer in the water treatment industry. Prior to moving to San Luis Obispo for work and coming on board the Mustang coaching staff this past summer, Brendon was an assistant coach at NCAA D3 Keene State College during the 2014 and 2015 seasons. Kirsten Leal joins the Cal Poly Lacrosse staff for the 2016 season as the team’s Physical Therapist. Kirsten received her doctorate from Western University of Health Sciences, and is also certified as a Strength and Conditioning Specialist through the NSCA. Prior to finishing her advanced degrees, Kirsten coached collegiate softball at North Dakota State University, played NCAA Division 1 softball at Loyola Marymount University, competed for the Great Britain National team for 6 years, and even played professionally for 3 years in Europe. Kirsten is passionate about injury prevention and performance training and the Mustangs are excited to welcome her aboard the Cal Poly Lacrosse staff. After spending nineteen years on the sidelines with Cal Poly Lacrosse, including fifteen seasons as the head coach, Coach Lea stepped down at the end of the 2015 season. Over the course of his career, Coach Lea compiled a 168 – 83 record and guided the program into one of the MCLA’s elite programs. The Mustangs earned five WCLL titles under Coach Lea, and in 2012 fell just short of winning an MCLA National Championship. Marc has been has been involved with the program since his playing days in the early 1990’s, and helped lead the program from a scrappy lower division club into a perennial player on the MCLA national stage. His success and dedication to the game have not gone unnoticed, and Coach Lea was named the WCLL Coach of the Year in 2001, 2010, 2012, and 2014, as well as the MCLA Coach of the Year in 2012. In 2013, he was inducted into the inaugural class of the Cal Poly Lacrosse Hall of Fame. 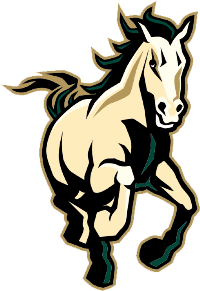 Marc is a Cal Poly alumni (Ecological Biology graduate, ’93), and played on the Mustangs’ squad from 1989 – 1993. Away from lacrosse, Coach Lea is the Deputy Agricultural Commissioner for the County of San Luis Obispo overseeing the pest prevention and pest management programs. He lives in San Luis Obispo with his wife, Michelle, and their two daughters. With his retirement from coaching, Marc is looking forward to spending more time with his family and also helping grow the game and assist in the development of youth lacrosse on the Central Coast. Coach Myers is a San Diego native and played lacrosse at University of San Diego High School, where he earned first team All San Diego County as a senior defender. Coach Myers was a four year starter at Cal Poly from 2001-2004, earning Cal Poly rookie of the year in 2001 and defensive MVP in 2003. He was also named three times to the USLIA All-America and WCLL All Star teams. Following his senior year at Cal Poly, Aaron was selected to play on the USA West lacrosse team that competed in the International Friendship games in Japan and China. After his playing career, Coach Myers served as the defensive coordinator for Cal Poly for the 2005 and 2006 seasons and led the Mustangs to the national quarterfinals in 2006. Coach Myers then served as the Head Coach at Cal Poly for the 2007 & 2008 seasons. Coach Myers also works as an outside salesman for Independent Electric Supply, Inc in Los Angeles and serves as the President of the WCLL. Coach Stanton was born and raised in Dartmouth, MA. Raised by a high school lacrosse coach, Pat grew up with a lacrosse stick in his hand. A 3 year starter at St. Sebastian's in Needham, Pat was named captain and All-League his senior season. Upon graduation, Pat attended Northeastern University in Boston where his Air Force ROTC commitment kept him from playing his freshman and sophomore year, but was able to play with the club team his junior and senior year. After graduating with a BS in Criminal Justice and commissioning as a Munitions and Missile Maintenance Officer in the Air Force, coach Stanton headed to Okinawa, Japan for his first duty location at Kadena Air Base in 2012. In late 2014 he arrived at Vandenberg Air Force Base where he works supporting the Intercontinental Ballistic Missile (ICBM) test launch mission.